In Which I Am Extremely Helpful Making Food For Thanksgiving, last week's major piece, a not perfectly nonfictional account of the day. Gasoline Alley Is 100 Years Old As Of Saturday as I continue to clickbait my way through the biggest month Gasoline Alley has had since Skeezix turned up on Walt Wallet's doorstep. Statistics Saturday: The WiFi Networks Detectable In Your Area and you can check to see if I'm correct! What’s Going On In Gil Thorp? Is Tiki Jansen Academically Eligible or What? August – November 2018 as I give you thirteen weeks of a lightly confusing Gil Thorp plot all at once. Remembering The Good Things which was just a picture that I ran across while getting pictures ready for my journal here. The Stan Freberg Show: the twelfth show, with three major sketches and I couldn't think of what most distinguished the episode. In Which I Have Doubts About A Novelty Song, the United Kingdom like it says on the tin. What's That? the big piece for this week, a true story of me befuddled while eating. 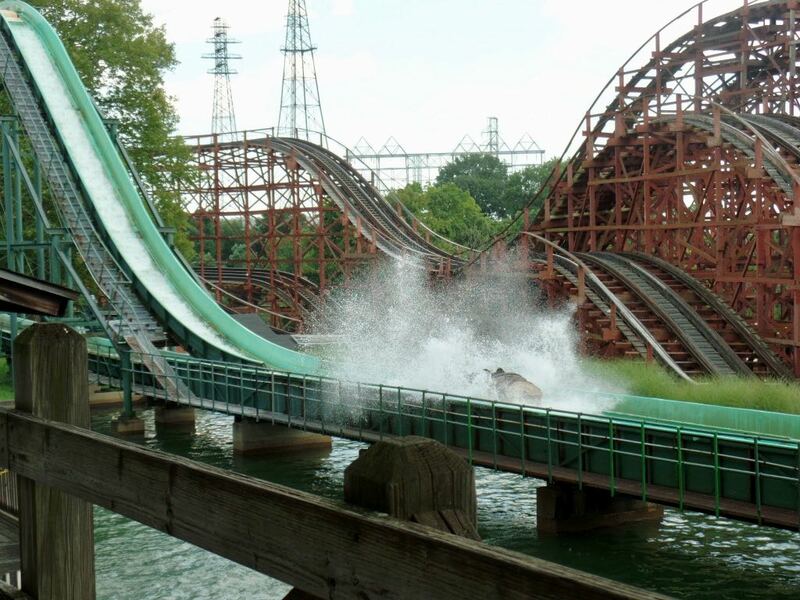 Splashdown of a Log Jammer flume, in front of the Racer roller coaster/s. 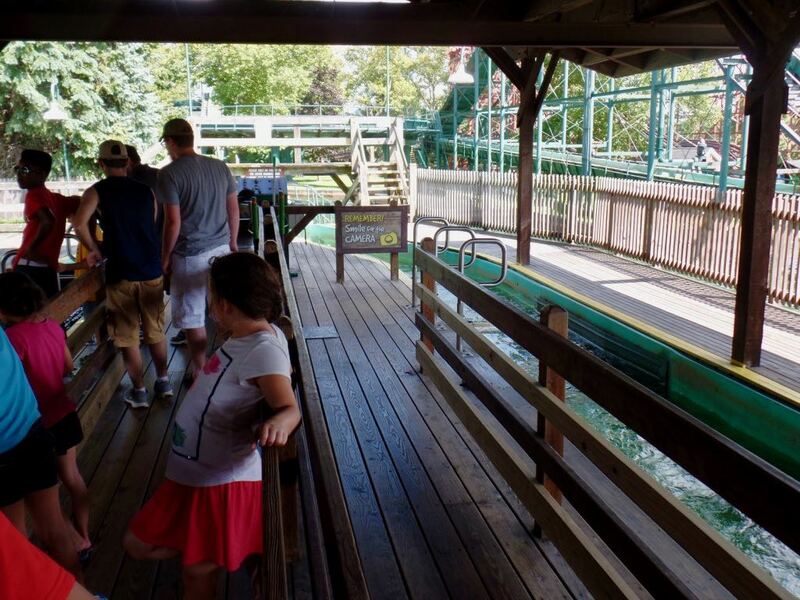 The queue and loading station for Log Jammer. Note the helpful reminder that there is a camera on this ride. The ride went back to the days they'd put a flag on the boats whose riders have paid for a photograph. Remember that? 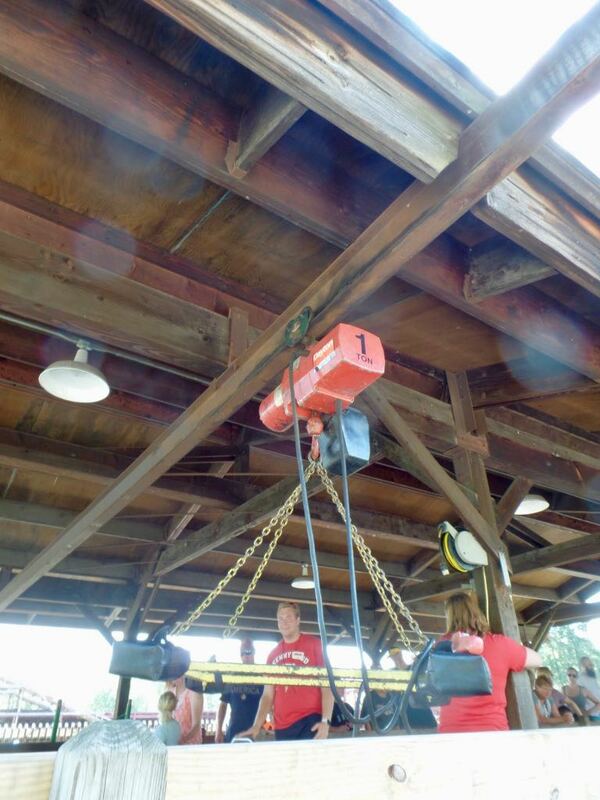 The pulley system used for moving boats into and out of the trough. I don't think any were loaded or unloaded while we visited and I'm amazed that I photographed such a bit of background mechanism. Like, go me. 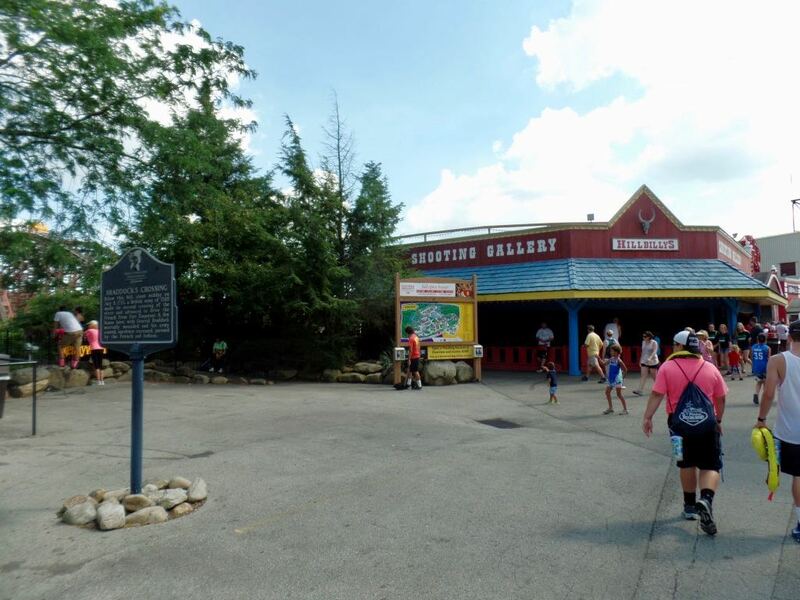 Braddock's Crossing: one of the many historical plaques set up at Kennywood, this one right by the Log Jammer, noting where various incidents involving that time George Washington kind of started a world war oops. Coming back from the Log Jammer. 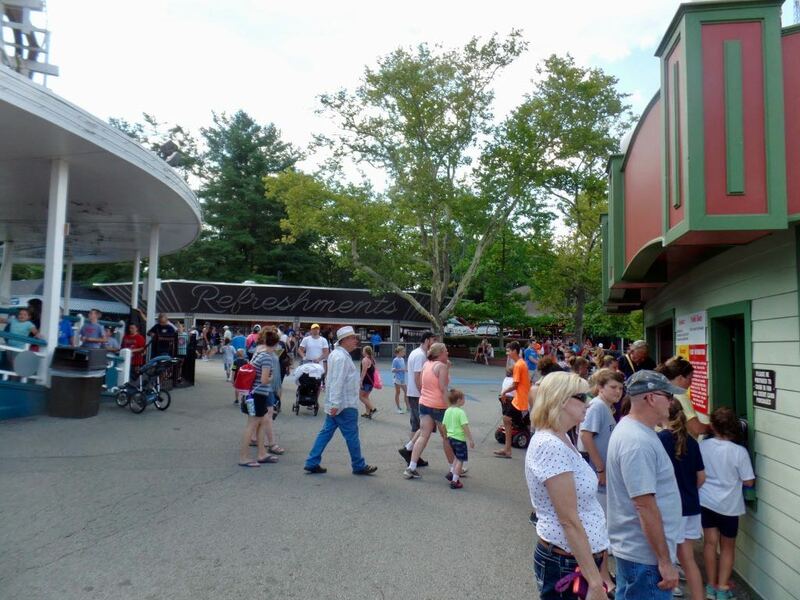 The Jackrabbit is on the left, and Jackrabbit's ride photo station on the right. In the distance the Refreshments stand has great neon, though it's too early to light it yet. Another historical marker. 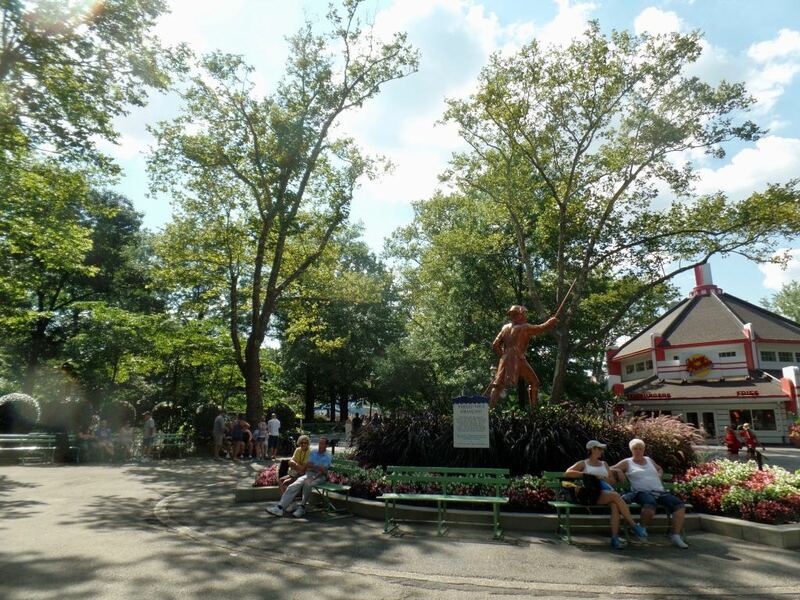 And a statue of George Washington, getting ready to attack the Johnny Rocket's. The Johnny Rocket's used to be a park-own burger place that had vegetarian burgers. And before that, it was a TCBY. And way, way, way back in the day, it was the housing for their carousel. It's right next to the current carousel's (smaller) building. The plaque by George Washington starts out ``Parlez-Vous Francais?'' and talks a bit about how if that whole French and Indian War had gone a bit differently this territory could have stayed in French hands. Kangaroo! 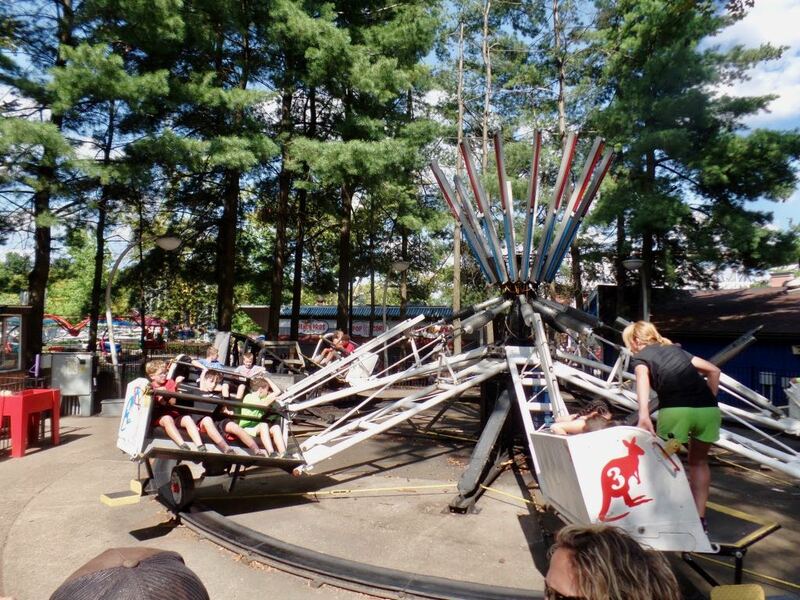 The only known instance of this ``flying coaster'' model ride is at Kennywood. And why is it called a Kangaroo? 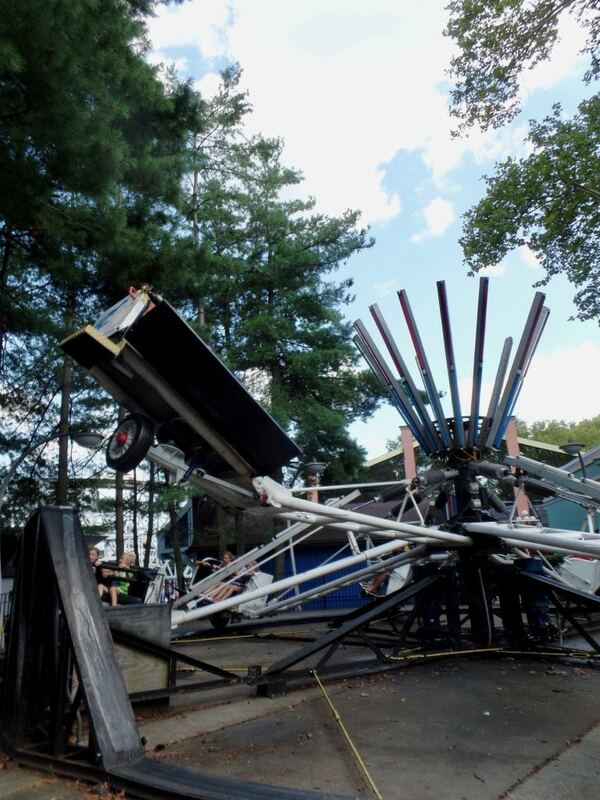 Or why is the ride model known as a ``flying coaster''? 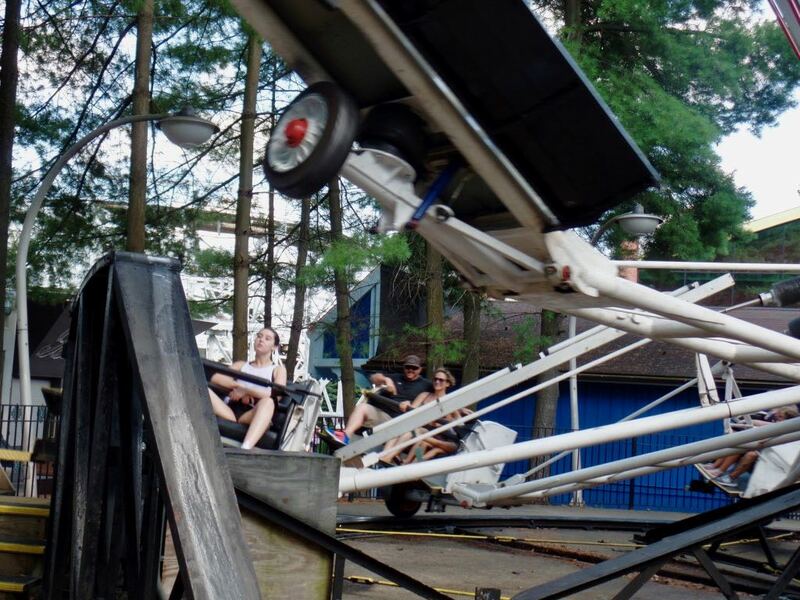 OK, so that's why it's called a ``flying coaster''. At speed, the cars go up this incline and then are allowed to just drop. One Kangaroo car dropping off the ramp while another starts the incline. It's a great ride. More parks should have them. Trivia: New Haven, Connecticut, put about $1.5 million dollars into building the Farmington Canal, connecting the St Lawrence River with Long Island Sound, between 1825 and 1847 when the project finally failed. (It became a railroad right-of-way.) Source:	 The Old Post Road: The Story of the Boston Post Road, Stewart H Holbrook. PS: Reading the Comics, November 24, 2018: Origins Edition, or, five comic strips huddling together in search of a theme.